Using new and engaging artwork and accessible text, the Timeline continues to help leaders and children see the big story of the Bible, and how individual stories fit into this larger story-arc. 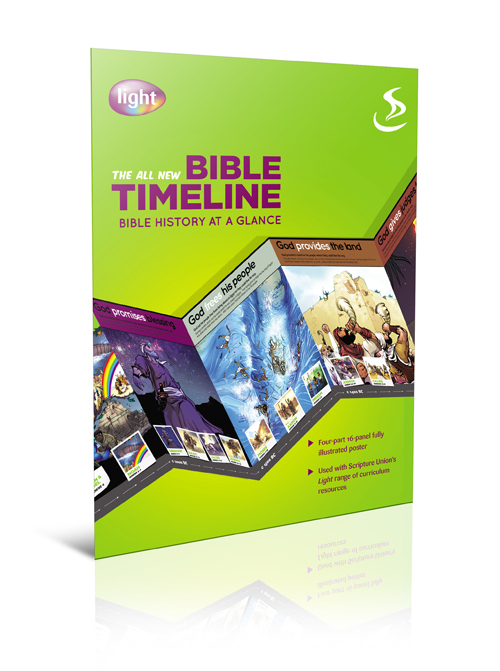 The Mini Bible Timeline is a miniature version of the Timeline is ideal for both leaders and children. Its small size means that it provides a handy reference guide when using the larger Timeline is impractical. Ilarger children's events the Mini Bible Timeline will help children and leaders discover the larger story of the Bible, what God is doing and where individual stories fit in. It also makes an ideal gift for children, as a reminder of their time at a special event, or for their use in ongoing groups. The new text means that children will be able to access the information more easily, and they will be pointed towards the main Bible passages of the various 'acts' of the Bible to find out more. Mini Bible Timeline by Victoria Beech was published by Scripture Union in May 2012 and is our 1022nd best seller. The ISBN for Mini Bible Timeline is 9781844277292. Be the first to review Mini Bible Timeline! Got a question? No problem! Just click here to ask us about Mini Bible Timeline.